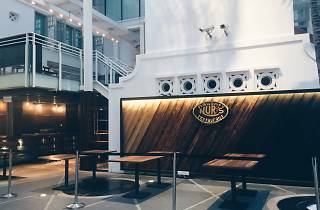 Bali grill siren Naughty Nuri's springs a Singaporean outpost at the Capitol Piazza to serve its famed pork ribs and chops, and Anthony Bourdain-approved martinis – in air-conditioned comfort. Went for the soft launch. The ribs were actually really good, on par with the original one in Bali. The pork chop too was seriously good. 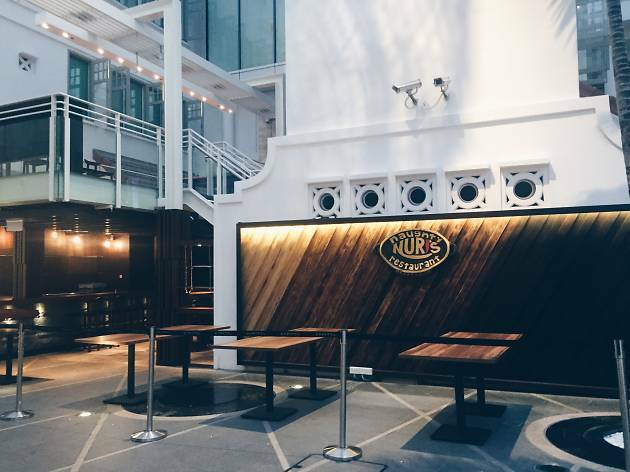 Naughty Nuri's, living up to its name of its tender succulent pork ribs. It's presentation urge Instagram lovers for a quick snap before indulging their myriad of Indonesian delights, and accompanied by a soothing blend of refreshing drinks like Coconut Ice Blend, a Chendol-like smoothie. Open space presentation with a mellifluous music playlist in the background, indeed a chill place to hang out with your colleagues during lunch break before grueling through the rest of your office hours. But really don't miss out on the ribs, you owe it to your very existence to try it. When life seems down, whenever your date still couldn't decide where to eat, when it's time to eat whatever. Make these be one of the moments in your life, where it makes you wet in the right places.